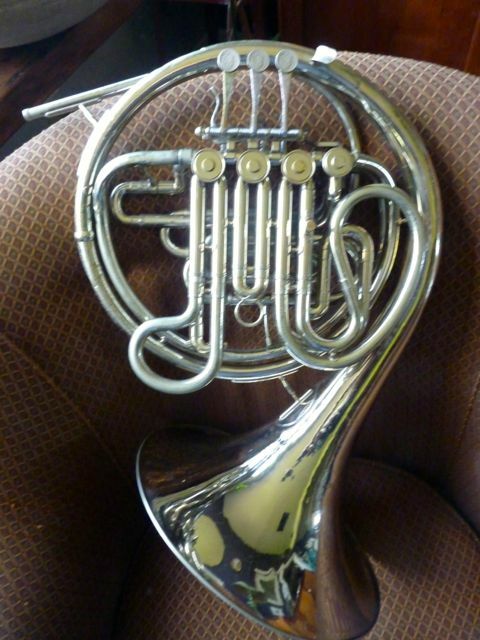 Custom Yamaha 561– What can you do to make a good horn better??? F.E. Olds Geyer wrap1950s F. E. Olds was in Fullerton, California. Olds was being run at this time by Mr. Reynolds who had closed down his Ohio factory and had taken up the task of helping Olds to gain market share over Conn. 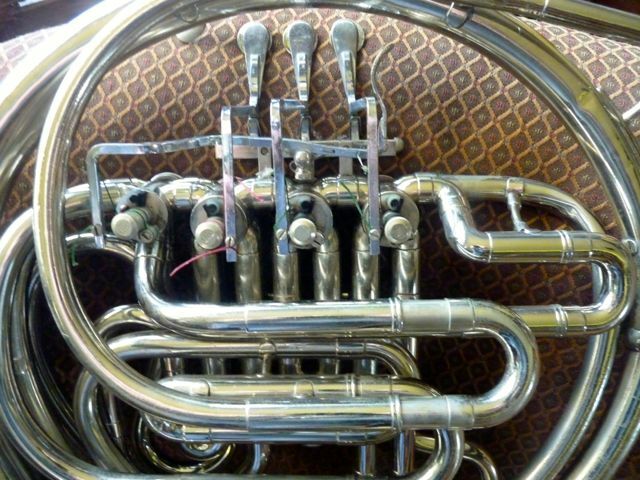 The studio musicians of the day used Conn 8Ds and Kruspes, both usually with modified leadpipes. 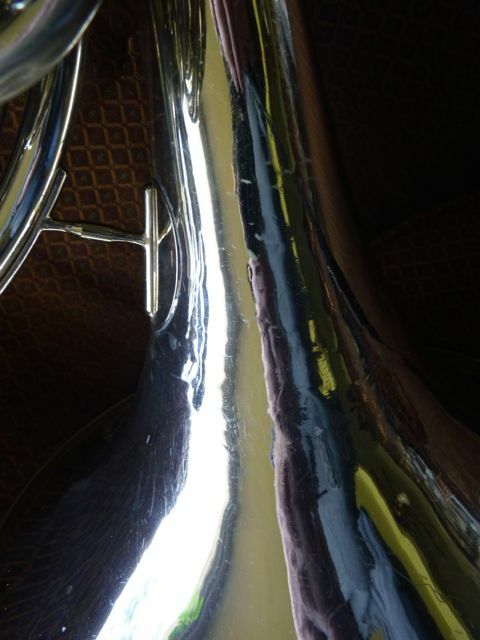 Reynolds may have decided to use the Geyer wrap on this “high end” horn. This will probably never be known for sure, but it makes discussion…. 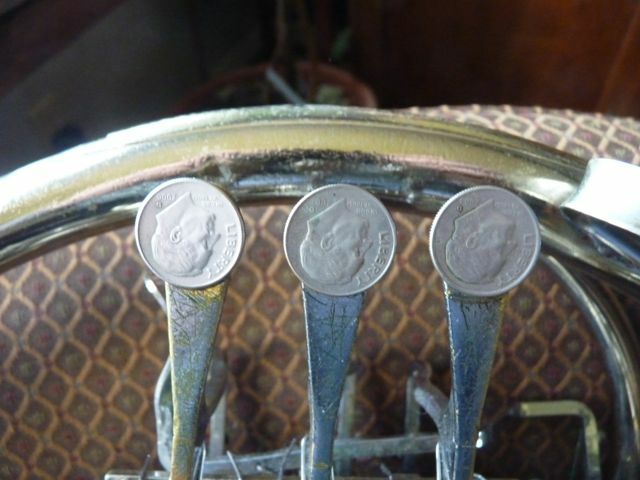 This horn is in good shape, never a serious accident, a couple of re-soldered braces, scratched finish worn through is a few high wear spots, Dimes on the spatulas, One small dent in the first branch. 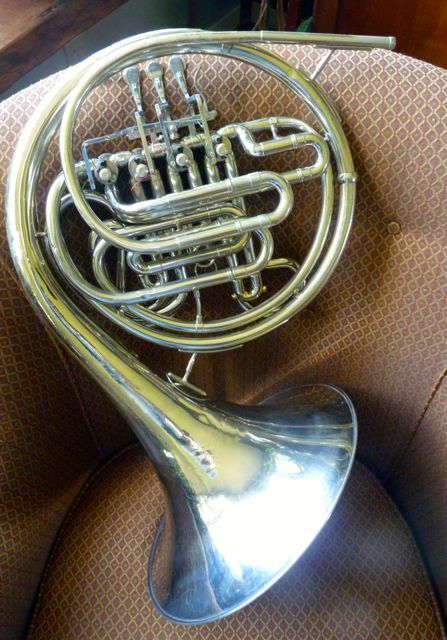 Email for additional pix, A nice horn for a serious player who wants a Geyer wrap and the NiSi sound. Not sure of the date, but has the earlier bell and LP braces. Shipped in an aftermarket case in a 18″ X 18″ X 27″ box weighing 21 pounds.The cost is paid by the buyer. Domestic, standard parcel post. Cannot be shipped to countries that have a 2m/ 78″ girth + one length countries. Otherwise OK. Overseas, actual cost USPS Priority International.